Even a few years ago we didn’t have much of a choice to make when buying a toothbrush apart from factors like hard bristles or soft bristles. It was a fairly simple process of selecting a toothbrush of a color you like and then using with no further hassle. So, are power toothbrushes, which are more expensive, better? Matter of fact, it is – they are said to be more effective and are also easier to use than manual toothbrushes. Well, at least you don’t have to move your hands around anymore. So let us find out why the Electric Toothbrush is causing such a stir. According to Kimberly Harms, DDS, who is a spokeswoman for the American Dental Association, regular toothbrushes get the job done only when you use them the right way. The main issue is with the manner in which we use them. Toothbrushes are prescribed to be used for 2 minutes at the start of every day. Most of us do not follow through for more than one minute and as a result not every tooth is cleansed which is unhealthy. This is where electric toothbrushes come into the picture. These brushes can cover larger areas of your mouth much quicker than normal ones. So within the time span an average human spends brushing, an electric toothbrush can perform about thousands or even tens of thousands of strokes per minute. Compare this to a manual toothbrush which only performs about 300 strokes per minute, and you’ll know exactly why people are fussing over it. Electronic toothbrushes are much easier to use. All you need to do is switch them on and start moving them around your teeth, and the rest is done by them. It also feels more comfortable to brush with electric toothbrushes. Children are absolutely delighted by electric toothbrushes. 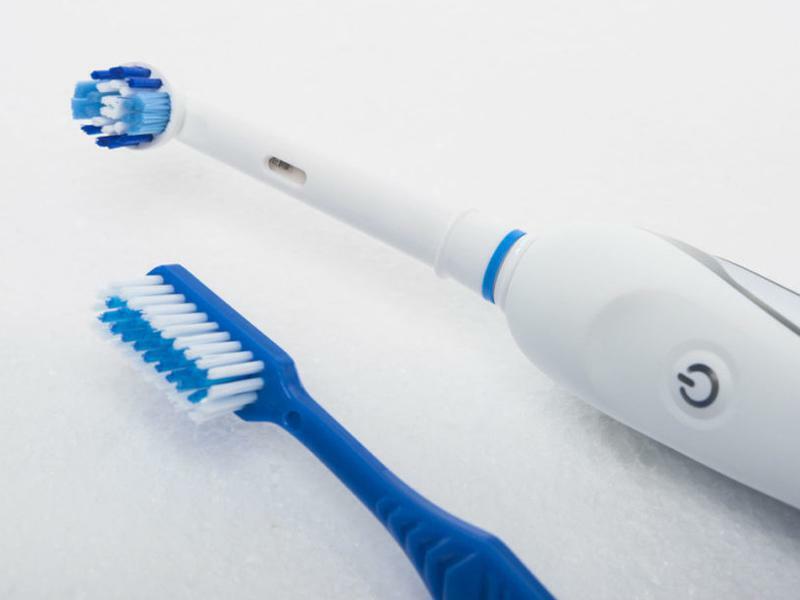 They love anything that needs a button to activate, and electric toothbrushes can be used to make brushing a more routine habit for them. This would encourage them to take care of their teeth more often. There are several people who are often lazy when it comes to brushing. This is mostly because they feel lethargic when they wake up and have to go to work. Electric toothbrushes are a boon for them. While a manual toothbrush can do its job well, an electric toothbrush ensures that your teeth are cleaned thoroughly and hygienically. This can be good for people who are very particular. Other than the price, there’s not much else. Most middle-class families consider it unnecessary to spend around $80-90 on something like a toothbrush. But electric toothbrushes do have their advantages for people who are willing to spend. It is a one-time investment that will be worth the return.